My journey into wine started with a sip. I was at a tasting of kosher wines in London, in February 2011. I had heard a lot about the Israeli winery called Castel so I paid a visit to their stand and, first things first, tasted their Chardonnay from 2009. It was like being struck by lightning. Love at first sight. A moment of awakening. I suddenly understood what good wine was all about. And I felt I had to meet the man who had created that wine. 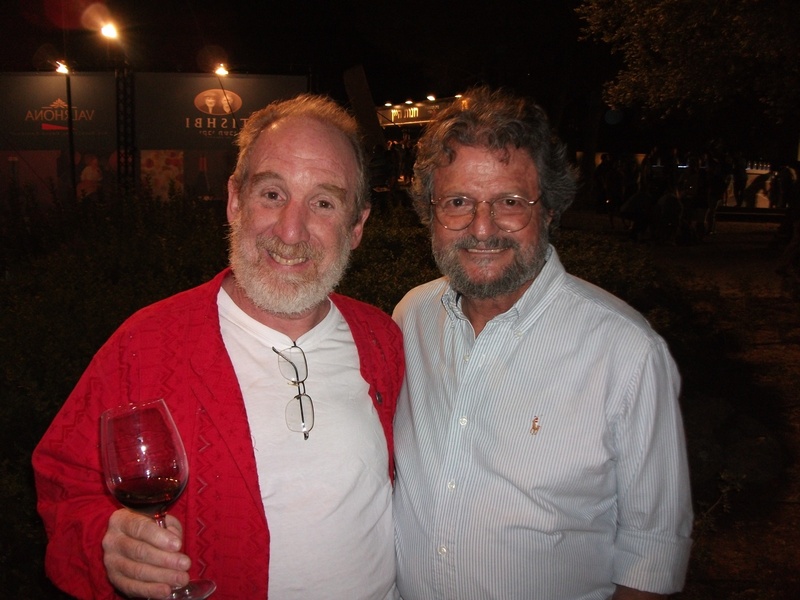 That was my first encounter with Eli Ben-Zaken, with whom I made an interview back then for Jewish Renaissance magazine (you can read it by clicking here), and who was such an inspiration that I decided to take up wine studies and train to become a wine writer. Two and a half years later, and having visited Castel a number of times, I meet Eli again, in a busy Jerusalem restaurant. Always the gentleman, he is understated, quiet and has a measured opinion about everything I ask him. Eli, I saw you last night at the Jerusalem Wine Festival. What did you think of the event and why doesn’t Castel represent itself there? It’s a very nice event. A nice crowd – I mean the public who attend. Many visitors to Jerusalem are foreigners, ex-pats; Americans, French and Italians. I don’t think any other city in Israel would have that kind of crowd coming. Their cultural level – but maybe it’s just because I like Jerusalem. And why isn’t Castel there? There are several reasons. There were times when we would have been there. It’s a stage in the development of a business. At one point we were going everywhere, wanting to make ourselves known, including abroad (Vinexpo, Vinitaly, London Wine Fair), at the large wine shows. But the impact is never immediate. Also, the wine shows are not a real reflection of what people do – wineries are not showing their best products; but Castel hasn’t got an entry-level wine, so wine shows are not the place for us to be. Would you consider producing an entry-level wine? Even if we decide to produce something cheaper, it will still be an expensive wine, relatively speaking. But it’s not really about the price. If I wanted to make a more modestly priced wine, it would be a different kind of product. A different winemaking technique. It’s more a winemaker’s experiment in applying new methods. For example, last night at the festival we tasted a young Cabernet, from 2012, and you said it was beautiful for such a young wine. I think I can make a better wine of that sort. Eli with a colleague, Agur’s Shuki Yashuv. How would you evaluate the current state of the wine industry in Israel? What are buyers looking for and what are sellers typically offering? We have no statistics for wine being consumed per capita in Israel, so it’s impossible to know whether wine consumption is on the increase. Israel used to have 4.5 litres per capita consumption per year. We don’t know if the market is growing, but we do know that people are paying more on average. And since we don’t know the size of the market, but more money is being spent, it’s very likely that somebody is not selling. The wine revolution in Israel has come to a dangerous crossroads – dangerous for the producers, especially the small wineries. 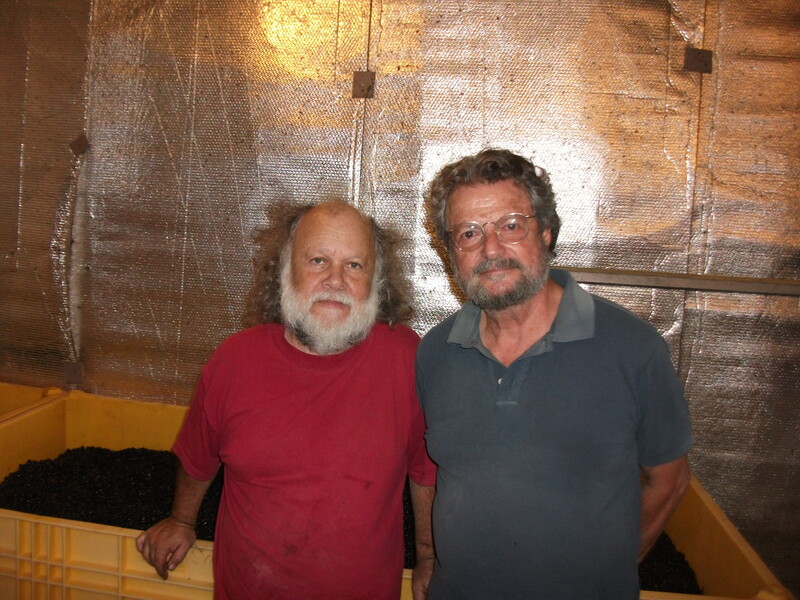 Most small winemakers are not very talented and their wines are not really interesting or well made. They charge high prices because they think that as a boutique winery they can afford to do so. And then they have difficulty selling their product. On the other hand, the larger wineries have understood what’s happening: that there is an increasingly knowledgeable public who can’t be ‘fooled’ any more. They know the difference between a good wine and a bad wine. So if they want to stay in the race they have to improve their winemaking. Large wineries have improved their quality dramatically. They have created a boutique strand within their wineries. For example, limited edition, single vineyard wines – because they have realized that there is a public who is prepared to pay the price and they’re putting the small wineries out of business. I’m not talking about Castel, but the 300-odd wineries that presently exist in Israel. So in the end these wineries will be closing down because most of them are, as we say here, hafifniks – lightweights. They are not serious about what they’re doing. The owners of most small wineries are not full-time into this, wine is not their main source of income. And they think it’s easy: you just have to work a little during harvest-time, crush and ferment, put in barrels and then come back for the ready wine. During the year they don’t do much but they think it will give them prestige and that it’s an easy way to make money. But they won’t be around for long. For the time being, Castel has nothing to worry about. We are selling, even with all the competition. Our main market is Israel but in general the kosher market internationally is crucial for us. We need the reputation, and we mustn’t put all our eggs in the same basket. What role do you think journalism plays in the wine trade? It depends on who the wine writer is. If it’s Parker, definitely, he has a huge role. Then there was Daniel Rogov, who did a huge service for Israeli wine on the international scene. As far as the present points system is concerned, I’m against that. I only look at points when a wine review is too long. What is, after all, in your points? How can you say this wine is 92 points and that one is 93? It’s completely subjective. Such small difference seems like nothing, but still, it’s the wine with 93 points that comes out as the winner. The points are made for simple-minded people. They see the points and make decisions based on them. But really people interested in wine should have a wine critic whose taste they share. Then it’s not about the points any more. The critic should write about wines he or she has enjoyed. Their role is to enlighten people, to provide some guidance as to what is worth buying. The description of a wine should be short and accurate: talking about specific fruit flavours or cigar boxes is irrelevant because these are aspects that change all the time. A writer should not write about pineapples but rather the level of acidity, body, balance, and alcohol – things that won’t change. For example, there’s a book about the wines of Romanee Conti. It features maybe five wine writers, who go through hundreds of bottles and then give very short, terse descriptions of the wines they taste. The reader can decide to either compare the notes of several critics on the same wine, or choose one of the critics and see how his or her opinions vary about the different wines, paying attention to the nuances in wording. So, at the end of the day, what is the role of wine writers? Look, even when some influential wine writers gave us bad points, we sold everything. So really our sales are not affected. And wine writers, in my view, have misunderstood their role. Someone once wrote about our 2009 Chardonnay, which was very much reduced [and which I fell in love with so madly – AE], that people should return the bottles they bought to the shop and get a refund. But a wine critic is not a consumer advisor. It’s not his job to say something like this, especially when the wine has no irreversible faults such as brett or oxidation. Wine writers sometimes misjudge their position; their real job is to inspire people to drink, to educate them about how to taste and what to buy. They put us in a situation where we are competing in a game. But winemaking is not a sport and winemakers are not competitors. How about your fellow winemakers? What is your rapport like? Being a winemaker is a lonely path. It’s like being a commander in the army. You get all the information and you get all the advice from people around you, but in the end it’s you who has to make the decision and you’ll have no one else to blame. You cannot go back. Co-operation between winemakers is of course very important but only in marketing their products and the region. At one point, Carmel’s CEO created a club called Handcrafted Wines. It included twelve wineries, not all of them kosher. We went to wine fairs together and we helped each other – although some helped more than others. I believed that it was important for Castel to promote Israel as a whole – to show that something was happening here. But then the CEO resigned and that was the end of Handcrafted Wines. Anyway, at that point Castel didn’t need it any more. Can you really say ‘you don’t need it’? I’m not saying you shouldn’t promote your wine, but the question is how you spend your money. I think that promoting Israel and its wines is not my job, but that of the government, or of the industry at large. Why should I take the burden upon myself? For years I went to shows and felt very proud when people were surprised at the high quality of wine that can be produced in Israel. I felt I was an ambassador – but it should not have been my job to do all that. How do you see the future of Castel? Are you seeking out new directions? 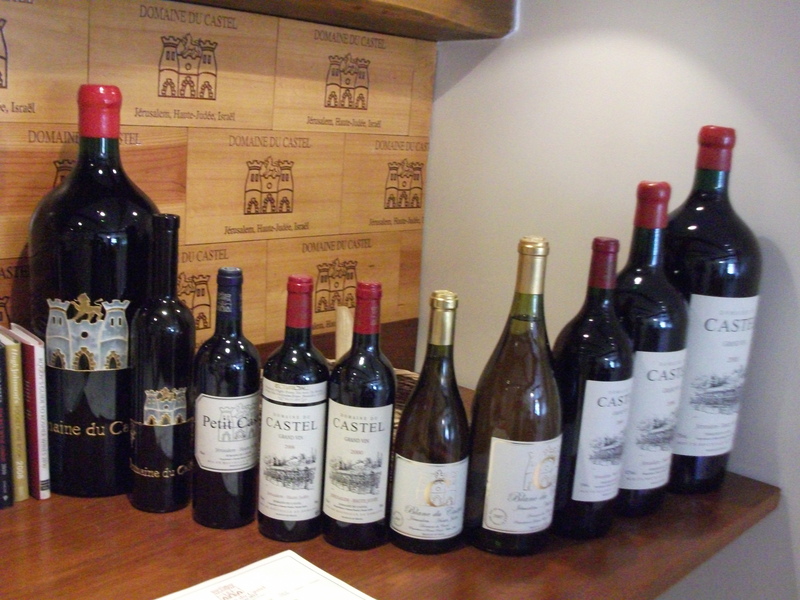 I think the strength of Castel has been the consistency of good vintages. We’ve managed to produce consistently good wines. This is what we must keep on doing. We mustn’t disappoint the public. And winemaking is such an adventure – you have never produced your best wine; there is always the possibility of making something better. You can’t be a hafifnik. You don’t stop striving. And we’d also like to grow. My sons certainly want to – we haven’t quite reached the most of our potential. We are relatively small and we don’t want our existence to be precarious, but at the same time we want to avoid becoming an industry. But all the grand crus of Bordeaux produce between 200-300 thousand bottles annually, without jeopardizing quality. This is a size that you can still take care of easily, while ensuring high quality of winemaking. Four families are living off Castel, so it is in our interest to become as large as seems feasible. Have you thought about succession? Of course. All my children are involved in the business. But the next generation will make their own wines, which might be different. But there is an agreement among us as far as the basic ethos is concerned: Castel stands for quality and we cannot become complacent about our wines. There is no such thing as ‘we know how to make good wine and we’ll keep on making it’. There are always fresh challenges and lots of doubts. You have to live with the doubts until the wine is bottled. How do you see the place of Israel on the international wine market? Israel is very small. Our overall vineyard area is smaller than the appellation of Saint Emillion. We’ll never make an impact on the world market; we’ll always be a niche. What kind of niche it will be . . . I think it will be more of the same: the Jews will keep on buying the kosher wines and Israel will make better and better wines. There will be a fringe of connoisseurs who will know and buy, but the majority will still be Jewish. In the end you have to convince consumers that you are giving them good value for money. And it is good value. To get a great wine for 60-70 euros is a bargain, not at all expensive. But we have to make people realize that we have great wines to offer.